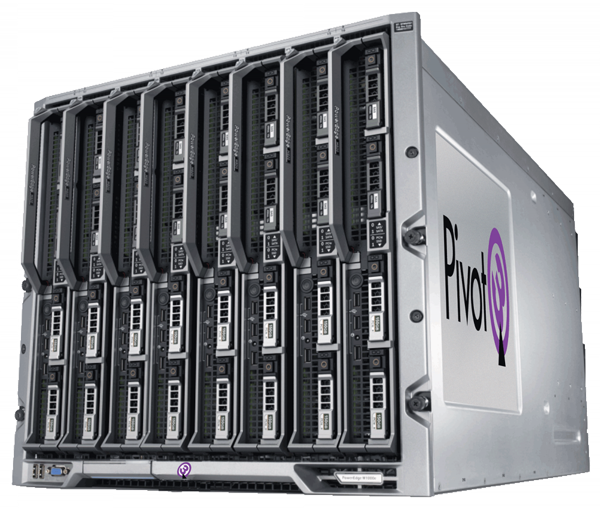 Pivot3’s Hyper-Converged Blades blend virtual storage and compute resources with the high computational density of blades to deliver the most efficient platform for consolidating the data centers of medium to large enterprises. The HCI Blade shared architecture allows IT organizations to focus on driving business outcomes rather than being wholly absorbed by maintenance and scaling projects. Pivot3 vSTAC OS automatically creates a virtual SAN while aggregating and sharing all resources within a blade and across the cluster. With a pay-as-you-grow scale-out model and central management for simplicity, performance and data security, the HCI Blade is the most efficient way to power the enterprise. Converged virtual storage & compute resources –no complex SAN. 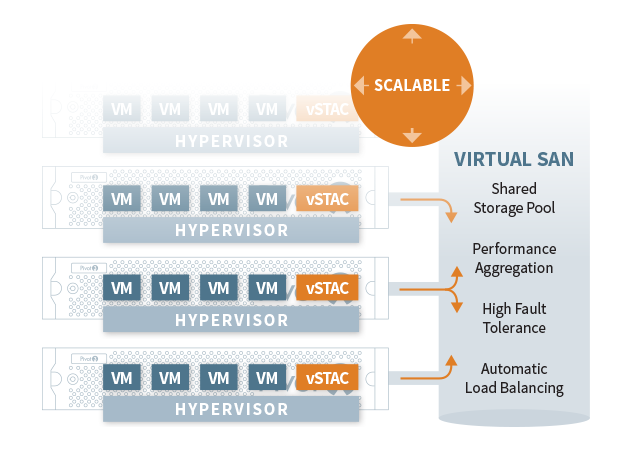 Up to 9,000 virtual machines per rack. Pay-as-you-grow scale-out model, no need to throw out existing infrastructure. Cluster-aware infrastructure pools resources as nodes are added. Centralized management for productivity, efficiency, and data security. Each blade chassis is a self-contained appliance that creates unified pools of storage. Compute resources are dynamically allocated to power any combination of virtual desktops, virtual servers, and mobile devices. There is no need for a separate SAN and servers. One rack of HCI Blades can support up to 9,000 VMs per rack, dramatically reducing physical space requirements in the data center. By leveraging the redundant power and cooling provided by the blade enclosure, the system minimizes environmental impact. 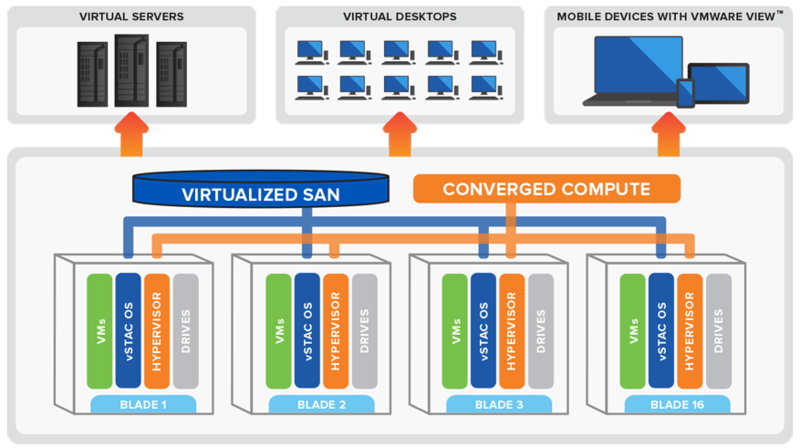 HCI Blades automatically detect additional blades and organically merge them in the virtual SAN to present an expanded unified storage pool of IOPs to all clients and virtual servers. Additional compute resources are also made automatically available to all virtual machines. Proprietary distributed data technology within and across blades ensures exceptional fail-over and yields high storage efficiency, far superior to replication-based redundancy methods. With Pivot3’s unique redundancy technology, storage efficiency actually rises with scale.